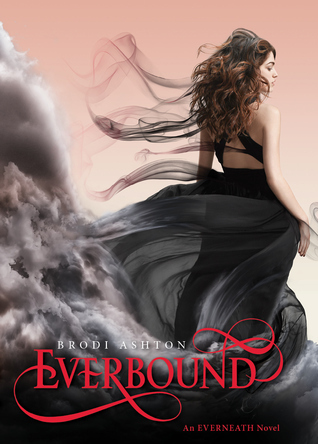 If y’all remember my review for Everneath then you know how much I love this story! I love the characters (Cole especially) and the mythology and this magical world Brodi has given us! I was super excited to dig into Everbound since I knew we’d finally get a real look at the Everneath.... and we’d get more of Cole, if you've read Everneath you know Jack is pretty much out of the picture. And oh boy did we get more Cole! In all of his devastatingly handsome glory and as deceptive and evil and manipulative as ever! But as evil as he is I still love him something fierce! I think it’s because I understand his motives. So onto the review we get to see the Everneath and its freaking awesome! There’s elemental magic like a ring of fire (no don’t start singing the Johnny Cash song lol) and a wall of water. Oh and there’s creepy Everlivings that are like zombies!!!!! Oh and I did fall for another dude! Jack’s brother Will. He’s pretty damned awesome when he’s sober lol. Crap my mind keeps straying to the boys….. Well it’s hard not to Brodi has written some delicious dudes! Ok back to the review Jack fans don’t be worried you will get plenty of him in flashbacks and they are super sweet and some are really swoon-worthy! Ah crap I can’t do this review justice it’s a ramble fest but hey at least you know I freaking loved this book! I only ramble with the good ones! So onto my chosen excerpt and yep it’s a Cole one! “But…all this.” I gestured around, even though I knew he couldn't see me. “I know. And won’t you owe me so bad when we succeed.” There was a smile in his voice, but also something dead serious. I thought about what Ashe had said about his tether to me. I still have yet to read Everbound, I did start listening to it, but the player it was on from the library wasn't working so I wasn't able t listen to it. I will have to borrow it in CD form soon! Ahhh You're killing me. I am trying to hold off a bit longer before reading this, and now I want to pick it up right this minute!!! I will have self control!! Love this review. So glad I can finally read it! But oh my gosh I have so much to say! And yes it was totally hard not to get distracted by those swoony boys. But that passage. OMG! And darn it Nikki does owe him, so... Oh grrr. Well I can privately DM you about that! I chose a Jack passage about waiting. And you chose one about Cole chasing. LOL. Oh Nikki. She KILLS me. I am so TEAM COLE!